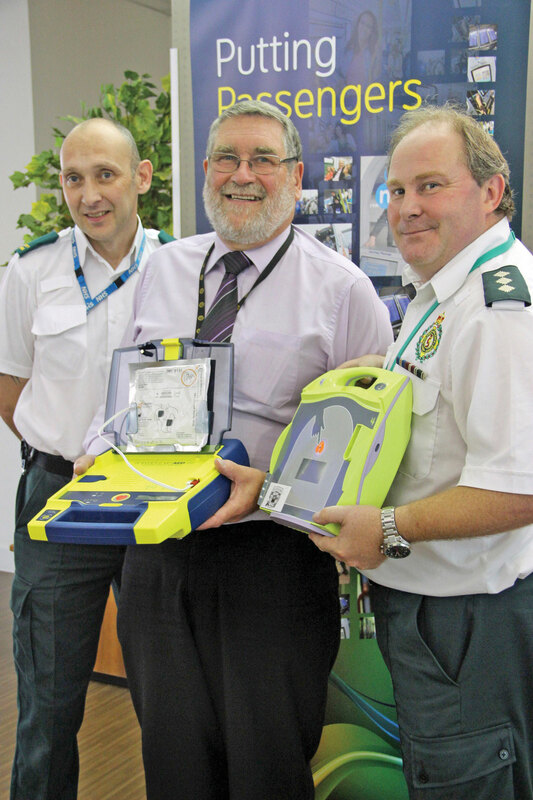 West Midlands transport authority, Centro, has purchased ten automated external defibrillators (AEDs) from the British Heart Foundation, whilst West Midlands Ambulance has donated another one. They have been installed at bus stations in Bilston, Coventry, Dudley, Halesowen, Merry Hill, Stourbridge, Walsall, Wednesbury, West Bromwich and Wolverhampton, as well as in Centro’s head office in Birmingham city centre. The introduction of the life saving equipment follows a cardiac arrest at Wolverhampton Bus Station last year where a passenger was saved with a defibrillator from the nearby railway station. Over the last few months, the NHS Foundation Trust has trained bus staff in basic first aid, CPR and the use of the defibrillator.